Stolen images of Victoria Lopyreva, Miss Russia 2003, a model and a popular television hostess in Russia. Her stolen pictures are reported online for being used in scams since 2009. I wait your answer, kopatenko@yandex.ru. loving and caring, that is what i really appreciate in man! Height:	170 cm = 5' 6.9"
each other through the bad times. another picture already reported here. Hi, nice to meet you! You know, i am really very happy to start communication with you. We don't know each other at all, but i really want you to know me closer, i am Sofia, i am from Ukraine and i am suffering from loneliness ; ) I am looking for a nice man, who will love me and let me to love him, so as you can guess i am looking for mutual and pure feelings. So, that is my e-mail address kopatenko@yandex.ru , you can write me over here, i will be really happy to get your letter, so write me something about you and i hope that later on we will develop our communication. Aloha my new friend. Seems in my opinion you're someone I am searching. Please tell me more about yourself. Email me your shots, too. Anyway, my name Irina, Now i'm thirty eight years of age. I wonder your age? Now i am looking for someone who's going to be more mature as opposed to me.I'am located and as well was born in Ukraine. What country you are now living? I'd like to find a guy with whom i find in common interests. I am wanting to find anyone with goals as a concrete.I would really enjoy to begin a talk along with you. I'm hoping you end up being interested, and so the following message doesn't stay with no attention.I wish to request you to remember to forward me your pics, so we could start to learn one another much faster.With this mail I will send a picture of me, and possibly you're going to like it. Subject: Hi my awesome pen-friend! Good afternoon my stranger, It appears to me that you are someone I'm looking to find. Please tell me regarding you. Mail me your photo too. Anyway, my name Irina, Now i'm 38 years of age. I want to know your age? Now i'm on the search for a person who's going to be more mature as opposed to me.I live and as well established in Ukraine. Which country you are living in? I like to get to know a male with whom i will find common hobbies and interests. I'm trying to choose the one with goals of a cement.I'd appreciate to begin a talk along with you. I hope you would be interested, and the following message would not stay without reply.I want to ask you to remember to deliver me the?mages, so we are able to get to know each other noticeably faster.In this letter Let me mail a picture of myself, and hopefully you will enjoy it. If perhaps you will not like me, you may get rid of my letter. Hello my great pen-friend! It seems in my opinion you happen to be the person I am looking for. Tell me about yourself. Email me your photos on top of that. My name is Irina, I'm 38 yod. I wonder your actual age? I'm looking to find a guy who is older as opposed to me.I live and also was created in Ukraine. Which country you are in? I need to meet some guy with whom i may find in common pursuit. I'm in search of the individual with goals of a cement.I would appreciate to start out a conversation together with you. 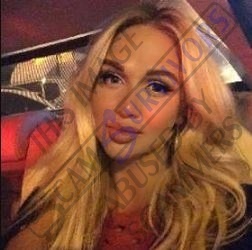 I hope you truly are attracted, and so this mail is not going to stay without reply.I want to request you to remember to send me the photo, so we can learn one another much faster.In this letter I will send a picture of me personally, and possibly you will enjoy it. If, perhaps you won't like it, you can get rid of my mail. Subject: Greetings my dear pen-friend. Hey hey my new friend. It appears in my opinion that you are a person I'm wanting to find. Tell me more regarding yourself. Drop me your snapshots on top of that. I'm Irina, I am thirty eight years of age. I want to know your real age? I am just in search of a person who is more mature than me.I'am located and in addition was given birth in Ukraine. What region you live in? I'd like to meet up a male with whom i find common likes and dislikes. I'm on the lookout for a male with goals like concrete.I'd really like to start out a communication with you. Hopefully you're going to be attracted, and this mail does not stay with no particular attention.I want to request you not to forget to send me your snapshots, therefore we can learn one another noticeably faster.With this letter I will mail a picture of myself, and maybe you are going to enjoy it. Subject: Good evening dear man! Salut my friend. Seems to me that you're an individual I'm looking for. Please tell me more regarding you. Mail me your photos too. I'm Irina, Now i'm thirty eight years old. I wonder how old you are? I'm on the search for a person who's going to be more mature than me.I live and also established in Ukraine. What country you live in? I'd like to meet someone with whom i will find common hobbies. I am interested in a man with motives like solid concrete.I would really enjoy to start out a communication together with you. I'm hoping you are really attracted, and so this mail doesn't stay without particular attention.I would like to ask you to remember to mail me the snaps, so we can learn one another quicker.In this message Let me mail a photograph of me, and perhaps you're going to like it. - same stolen picture as above. Good DayCharming! Seems in my opinion that you're the person I'm wanting to find. Tell me more about yourself. Drop me your snap shots on top of that. I'm Irina, I'm 38 years old. I wonder your real age? I'm looking for a guy who will be more mature when compared to me.I'am living plus was born in Ukraine. What country you live in? I would like to meet up with a guy with whom i will find in common pursuit. I am in need of the individual with motives of a cement.I would enjoy to start a conversation along with you. Hopefully that you're attracted, and so the following letter doesn't stay without particular attention.I must ask you to remember to send me the photo, so we are able to get acquainted with one another much faster.With this message I'm going to send a pic of me, and perhaps you are going to adore it. If perhaps you will not like me, you may erase my message.